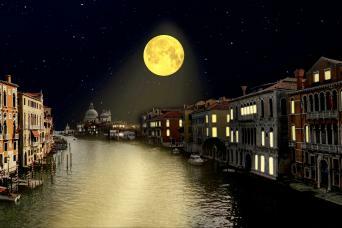 Shadows of Venice is a walking night tour in which a guide will illustrate historical facts, quirky anecdotes, legends and mysteries that had Venice as their background. 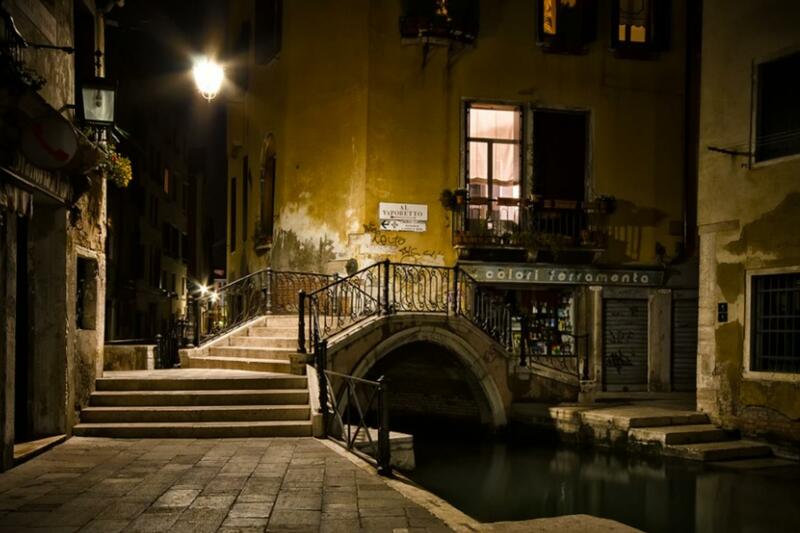 Starting from St Mark’s Square, underneath the Clock Tower, the tour will head towards Campo Santa Maria Formosa, stopping along the route to admire the splendid Angel Palace. 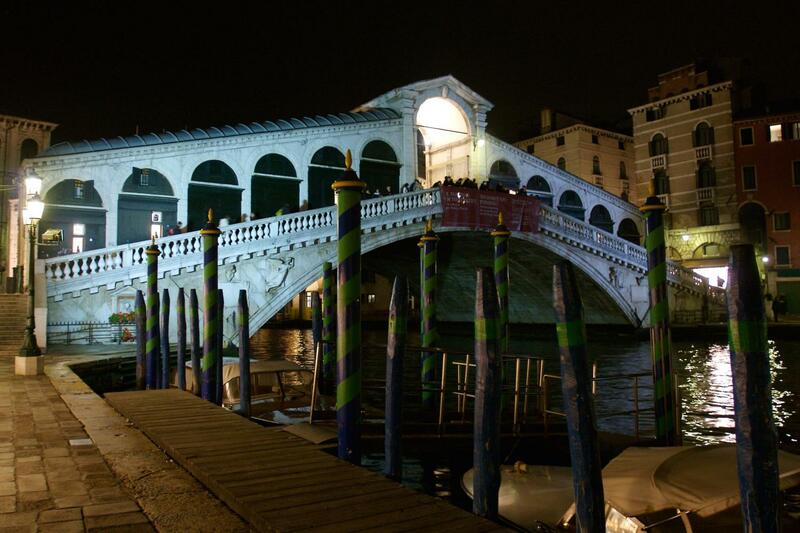 On the way to the Rialto Bridge you will stop to admire the treasures of the area around Campo San Giovanni e Paolo, amongst them the equestrian monument of Bartolomeo Colleoni and the Miracoli Church. You will also hear the adventurous story of Marco Polo on the very site where his house once stood. 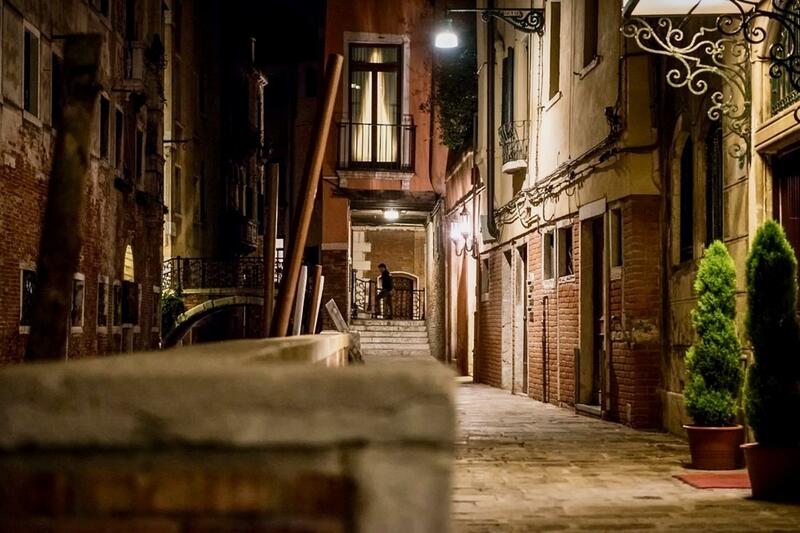 Additional tales and anecdotes connected with the Venetian merchants will once again be brought to life in the ancient economic heart of the city – the Rialto – and the Church of San Giacometto, one of the oldest in Venice. 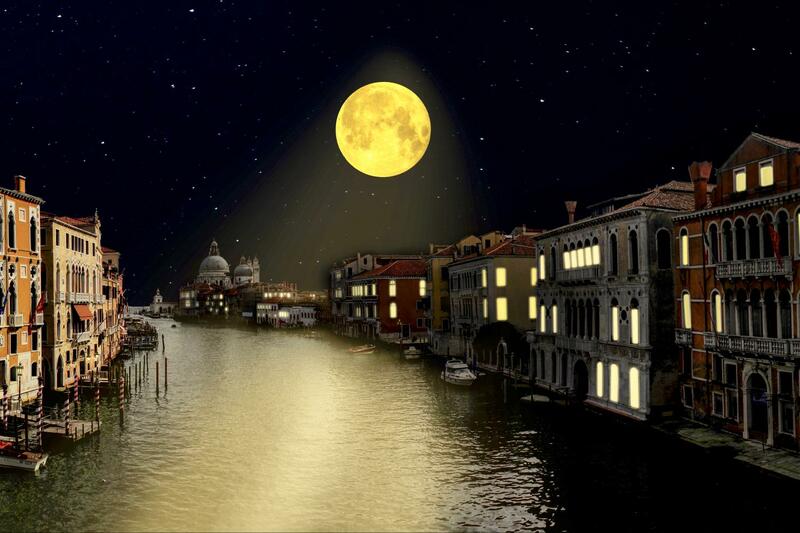 From the top of the bridge, you will admire the extraordinary view of the illuminated Canal Grande, before continuing to the most celebrated Venetian theatre, the ill-fated “La Fenice” Opera House and the sumptuous Palazzo Contarini with its impressive spiral staircase. For all late arrivals, no shows, NO REFUND. 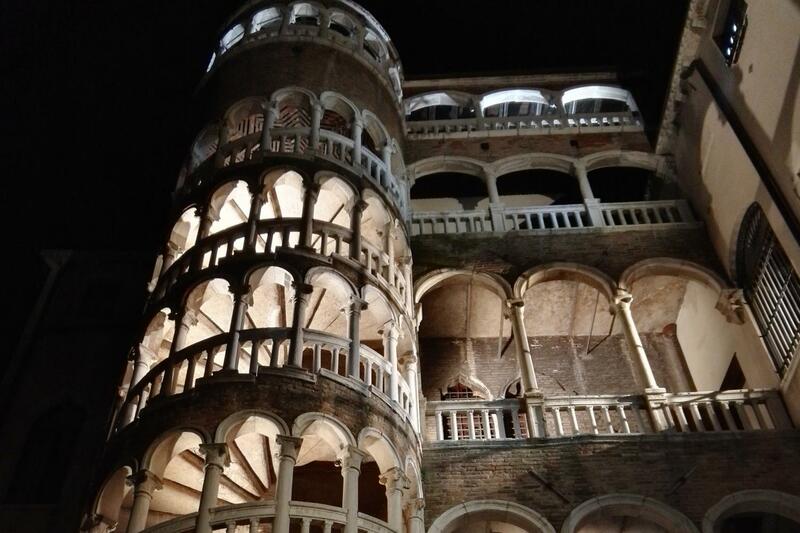 Palazzo Contarini & Bovolo staircase.